The original PC was built to a sound engineering objective. It was based on a standard 19-inch rack cabinet cont­aining a steel chassis which housed a standard size motherboard into which standard form option cards could be inserted. To add a new function, you just added an option card. To upgrade a function, you simply replaced an option card. The technology of each of the PC's functional areas could thus evolve independently. This made the original PC not only en­gineer friendly, but eco-friendly also. 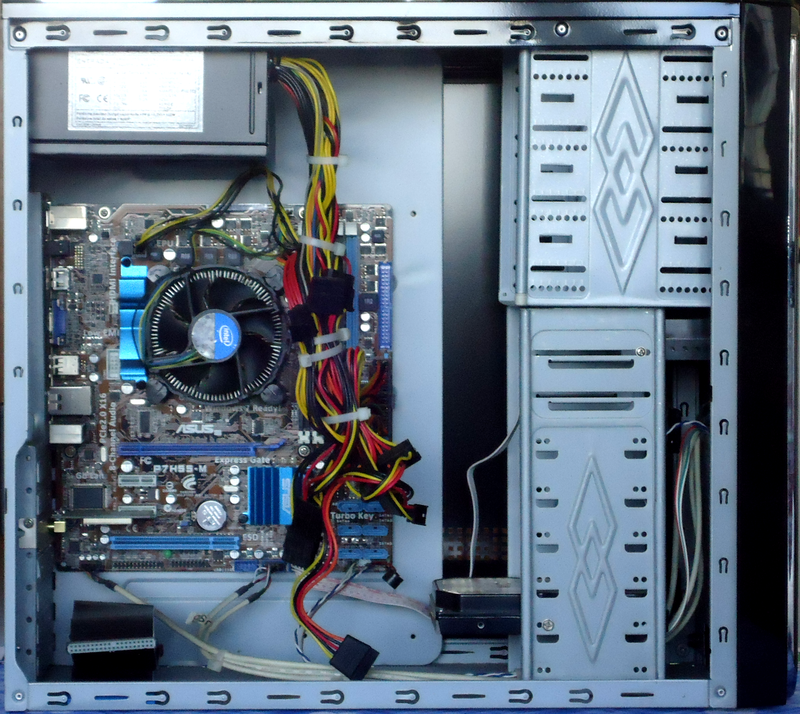 Theoretically, you could buy an origin­al PC and keep the steel chassis, case and fittings for life. There was no need to dump or recycle the chassis, case and fittings each time there was a leap in tech­nology. You just swapped the naked electronics for a newer, more advanced version. Moreover, you only had to swap the circuit card for the particular function you wanted to upgrade. You did not have to change circuit cards which did not need upgrading. Thus each year, as more and more functionality was crammed into an ever smaller space, the PC could evolve and advance forever within its original standard chassis. Since I bought my first IBM PC XT in 1984, I have diligently tried to follow the noble principle of evolutionary upgrade with minimum throw-away. But that's not the way it turned out. Since 1984 I have been forced - by economic expedience and chang­ing standards - to buy 6 completely new PCs, each time relegating my old one to the scrap heap. Keep technology advancing rapidly enough to render each machine technologically obsolete in roughly the same amount of time. PC technology is too near the cutting edge of scientific knowledge and engineering capability for the first option to be practicable. The second option is therefore the one manufacturers seem to have adopted. The upshot is that manufacturers are building ever more of the PC's functionality into the motherboard. This means that when you want to upgrade a particular function, you must add an option card, yet leave the original functionality in place. This results in unnecessary power consumption and potential operational conflicts. Advances in only a few independent functional areas need take place before your only sensible option is to replace the motherboard. And if you do that, you might just as well replace the whole PC. "Warranty void if seal broken. Contains no user-serviceable components." For how much longer will the full specification of the commercially available PC be open and published in full and obtainable easily by anybody? Having always used a standard form PC for 20 years, in 2004 I eventually bought myself a laptop computer with a 15-inch screen. I still have it in 2017 and it is still working well. The laptop has some advantages over a normal PC. It is compact, light and portable. Having an internal battery, it is immune from sudden power failures. In such an event I am in no danger of losing data or having files corrupted if they are being written to at the instant the power fails. I also do not lose down­loads or uploads that are in progress at the instant the power fails. If the power failure is prolonged, I have time to allow short-term tasks to finish and gracefully shut down all applications and then the operating system without fault, corruption or dam­age. The laptop also has certain disadvantages against the normal PC. Although I tried to persevere with its restricted keyboard and swipe pad in place of a mouse, I rapidly came to realize that these simply cannot be used with the same ease, rapidity and dexterity as a standard keyboard and mouse. Furthermore, the screen cannot be placed at an ergonomically acceptable height for viewing while leaving the key­board and swipe pad in an ergonomically acceptable position for typing and clicking. Thus I had the choice of enduring either neck ache or arm ache. Inevitably, I had to sit my laptop on a pile of books with an external keyboard and mouse attached and placed in a position on the desk that offered comfort for typing. Compared to the conventional PC, the laptop is much less user-maintainable and much less flexible in that user-specific expansion cards cannot be installed. It is also doubtful whether a laptop would stand the stress of a continuous work cycle. The portability of the laptop is a great advantage if one needs to work while travel­ling or at alternative locations, so long as that work does not involve the use of peripherals such as printer or scanner. Notwithstanding, the portability of the laptop is also a great disadvantage in that it is very easy to steal, which can result in not only the loss of the machine itself but, perhaps more importantly, the loss or com­promise of valuable data held within its internal storage. The laptop does not replace a conventional computer system. A complete system requires a printer and a scanner. These are peripherals which must be connected externally to the laptop, as with a normal PC. The small loudspeakers in a laptop are not suitable for serious listening to audio content, especially music. Consequently, for adequate quality, an external sound system (with several loudspeakers plus con­necting cables and power supply) is also required. My 2004 laptop had a built-in 56kbps modem, which was the state of the art at the time. With the advent of ADSL and cable services, the modems are now exclusively external devices supplied by the corporate entity that provides Internet access. Cur­rent laptops generally have wireless adapters built in. Notwithstanding, whether the laptop is connected by wireless or LAN cable, it still requires a cable or ADSL modem (together with its power supply and cables) to gain access to the Internet. Since most households and offices now have many computers using the same Inter­net access point, a router plus associated cord, power supply and signal cables are also required. Thus a laptop requires the same peripherals as a conventional PC, which creates the same inevitable rat's nest of wires, cables, wall warts, mid-cord power supply units and signal cables. Unlike the standard PC, the laptop itself also has an external power supply, which is not a small item by any means. This is yet another contri­butor to the labyrinthine rat's nest under the desk, which must be separately lifted up and cleaned under every week. I have never possessed or used an integrated computer. 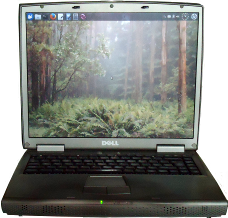 It is somewhat like a laptop with a detachable screen, except that the internal components of the computer are housed within the screen casing. Its conventional keyboard and mouse are separ­ate. The main unit (the screen) can be wall mounted or fitted with a desk stand like a conventional monitor. Although it combines the screen and the system unit, the integrated computer needs an external wall wart power supply, which a conven­tional PC does not, so the number of separate items involved is the same. Unlike the conventional PC, the integrated computer is unable to accommodate standard expansion cards. So, for instance, when the time comes to upgrade from normal high definition (HD) video to the ultra-high definition (4K) standard, you need a whole new computer. You cannot simply buy a new monitor and insert a 4K video card as in a conventional PC. The cramped conditions inside the integrated case can also cause a problem with hardware updating, cooling and cleaning out accumulated dust. Some integrated computers have touch-sensitive screens so they can be used without a keyboard. A touch screen is definitely not practicable for writing a report, let alone an article, a computer program or a book. A full sized keyboard is needed for this kind of work. Besides, touching the screen leaves finger marks and results in a screen which be­comes dirty very rapidly. With the market for the PC and the laptop saturating, it seems that the IT industry is desperate to create new things to sell. Among these is the tablet computer, one version of which is shown on the right. Its neat style and compact form make it ideal for impulsive purchase as a "must have" personal accessory. I have been using one, on and off, for over a year. I have to admit that I, personally, do not find it a whole lot of use. Its small 154 × 90 mm screen is very restrictive and cannot adequately display documents or web pages designed around the international standard A4 paper size. The print is far too small to read fast and comfortably. In fact, I find it very fatiguing to try to read documents on it. I also find the user interface non-intuitive and difficult to use. On top of this, the only application programs that seem to run on it are the very re­stricted range obtainable from the operating system vendor's on-line apps store. The biggest killer is that the operating system deliberately disallows the user from writing files to the removable memory extension card. For me, this renders the memory card useless. The operating system also contains arbitrary restrictions which have generally be­come evermore severe with each new update. One of these is the playing of video files. I have no interest in downloading films from the Internet. However, I did like the idea of being able to play, on the tablet, videos I shoot myself with my own camera. Notwithstanding, I quickly found that this was most effectively disallowed. To test the idea I shot a short video of a friend running on a treadmill. I then trans­ferred it via my main computer and local area network to the tablet. Of course, I could only store it in the tablet's restricted on-board memory. I was not allowed to store it on the much larger memory card which the vendor had sold with the tablet. I then tried to play the video which, of course, I had already played perfectly well on my computer. I tried to open the video with the native video player. In place of the video a message was displayed saying "You are not authorized to view this DivX protected video on this device". I was referred to the DivX website where I was told I would be pointed to a website where I could purchase the video. Obviously, since I had shot it myself, in my own home with my own camera, it wasn't available for sale anywhere. I wrote a terse email to DivX. They replied saying that this simply should not happen. They asked me to send the video, which I did. Despite a couple of re­minder emails I never heard back from them again and no solution was ever offer­ed. Consequently, under its current Android operating system, the table cannot be used for displaying my videos. The only solution I was able to find was to erase the Android operating system and install Linux with the VLC multimedia player. A tablet computer has no keyboard. As far as I am aware it has no means of con­necting one (unless it is somehow possible to connect a keyboard via its ubiquitous sub-miniature USB socket, which I doubt). The only option is therefore the touch-screen keyboard, which is displayed when required. It also has a nasty habit of displaying when not required, which is a thorough nuisance. Typing with such a keyboard, even with the so-called pen, is, for me, very slow and prone to lots of errors. I usually have to try several times to hit the right key (or rather, key-image), neighbouring keys frequently being triggered in error. I couldn't write a book with such a "keyboard" in 100 years. I wouldn't even attempt to write an art­icle. The sheer effort required to type on such a device would detract far to much from my concentration on the subject about which I was writing. All in all, I see the tablet not as a work tool but simply as a gadget. It is for sort of looking at certain web content, for use as a personal music player, for taking photo­graphs and for exchanging messages and photographs via proprietary social media sites. Nothing much more. But it sells well to a gullible public. And that is what it's all about. Oh yes, it still needs providing with a wireless LAN connection to access the Internet, which means you still need your modem and router with their rat's nest of cords, power warts and signal cables. So no saving there. In its eternal quest for novelty, the IT and telecommunications industries are packing ever more functionality into an ever smaller space. The result, at the current state of the art, is what is known as the smartphone, an example of which is shown on the left. The smartphone attempts to fulfil the composite role of a mobile phone and a personal computer. 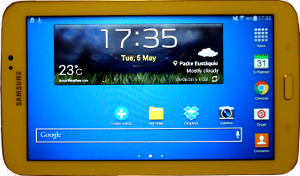 It has a screen with a graphics user interface, which includes a touch-screen keyboard, which is supposed to appear as and when required. It is able to connect to the cellular radio towers for telephone calls and to a local Wi-Fi network for Internet access. I am also given to un­derstand that it can connect to the Internet also through its cellular radio service. In a strict pedantic sense, the smartphone is all that it claims to be. It has much more than the necessary and sufficient functionality to be called a mobile tele­phone. It also has much more than the necessary and sufficient functionality for it to qualify as a personal computer. Notwithstanding, its usefulness and usability as either requires considerable qualification. The device's tiny 43 × 57 mm screen is only really adequate for displaying short text messages of up to about 100 characters. That is, unless you want to restrict its user-base to only children, adolescents and young adults. So it is good for a con­ventional short message service (SMS) and for short-message based social media sites. It is essential to remember that, when conversing by short message services, at least half of this tiny screen is occupied by the touch-keyboard. I remember my intrigue one time while watching the intricate thumb-dance being performed by a young female relative as she was using her smartphone to converse with a friend via a social media site. Notwithstanding, as impressive as her thumb-dance was, the net throughput of characters was extremely slow when compared with normal key­board typing and the individual bursts of activity were very short. Nobody could write a letter, report, article or book this way. In any case, my thumbs are far too big to be able to hit a single key at a time on her phone's Lilliputian keyboard the way she did. The device's tiny screen also has the collateral effect of making the graphical in­terface very complicated both visually and procedurally, hence difficult to use. To ill­ustrate this I considered the task of making a phone call using the smartphone compared with a conventional telephone. With a conventional telephone I lift the handset, tap the number I wish to call on the number pad and wait. At the end of the call, I simply replace the handset. On my old cell phone I tap out the number on the key pad and press the green phone button. On the smartphone, however, the procedure is far more complicated. hit the red end-call button. † I often have to tap it 2 or 3 times with increasing force. If I had not disabled the security function I would have to enter a password to un­lock the screen every time the padlock appeared. What an irksome procedure to have to go through just to make a phone call. I will not even attempt to describe the horrendous and unacceptable complication of doing anything else on this kind of device. Suffice it to say that I never managed to type-in successfully the somewhat long strong password to my PC wireless network using the smartphone's touch key­board. I do not use a smartphone any more. I still use my old conventional cell­phone, which is, at least, usable. Thus, I am afraid that, for me, the smartphone doesn't even rank as a gadget. It is no more than a super-miniaturized novelty. I was obviously never meant to be part of its market. I do not diminish the technical achievement of the engineers, pro­grammers and designers who produced it. I do not mock the insight of the market­eers who saw its enormous potential for consumption by the world. However, as a tool for enhancing the human condition, I think it is extremely negative for the two following reasons. Firstly, although the smartphone is absolutely loaded with useful functionality, its ability to make that functionality available to its human user is less than abysmal. And this is almost entirely to do with the smartphone's physical size. Or more pre­cisely, its size to functionality ratio. Engineers have been able to increasingly mini­aturize IT and communications technology. But they have been utterly unable to effect a corresponding miniaturization of the human user. So while devices become acceleratingly smaller, the human user does not. Specifically, the size of the human hand and the definition of the human eye remain unchanged. Consequently, for the human user to be able to continue using these ever-shrinking devices, the interface between the user and the device has had to become ever more complicated. In­deed, this increasingly fidgety complication has pushed the older generations right out of the frame. They have become no longer able to use such devices. In contrast, the standard sized computer keyboard, an example of which is shown below, can be used easily and without complication by people of all age groups. This is because its layout is essentially intuitive and the keys are set in a 19 × 19 milli­metre grid, which provides a key size and key spacing that is ideally suited to the size of the average human hand and arm reach. It is utterly impossible to design or construct a human-usable input device within the small screen of the smartphone (shown on the right at the same scale) capable of anything like the same bandwidth of information flow. As a direct consequence of this, the commercially-induced establishment of the smartphone as the de facto personal device for Internet access has forced people to abandon the thoughtfully-written letter, report, article or document as means of communicating ideas and replace them with the impulsive one-liner message to which the smartphone's user interface better lends itself. Hence, a reduction in the capability of the physical communication channel has forced a reduction in the qual­ity of the intellectual content conveyable through it. So from being the ultimate source of intellectual research and exchange, the Internet has, for most people, be­come nothing more than a place for exchanging pointless quips. The smartphone came about, supposedly, from the IT industry's desperation to cre­ate a new saleable product in a dwindling PC market. Notwithstanding, I think the quest to kill off the conventional PC in favour of the modern compact personal dev­ice was orchestrated by a far more sinister interest. 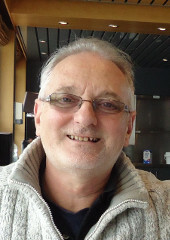 A conventional personal com­puter, with an open operating system, connected to the Internet, offered unregu­lated ordinary people enormous flexibility of association and independence of free thought. And this was seen by the established orders as far too dangerous to allow. How could they stop it? Legislation and force would be far too obvious and may pre­cipitate insurrection. A subtle almost invisible way had to be found. Stealth was the order of the day. The problem with the PC is the enormous semantic bandwidth it provides to its user. This had to be choked right down to a width through which the exchange of intellectual thought became impractical, if not impossible. And the smartphone did this perfectly. With their minds re-redirected onto trivia the people were once again tranquillized and contained. A dangerous consequence is that more and more of the individual's interaction with society - especially corporate society - is being forced through the personal device [or smartphone]. For instance, more and more financial transactions now take place via the smartphone than by any other means. The natural outcome will be that any­body who does not have - or cannot use - a smartphone [such as myself] will be unable to buy or sell anything. It is as if the smartphone has become [or at least is becoming] the proverbial Mark of the Beast. For instance, I have bank accounts with HSBC, Bradesco and Santander. I can still con­duct all my banking necessities via Internet banking on my personal computer with HSBC and Bradesco. However, I can no longer do so on my account with Sant­ander. Santander's web site just does not work on my PC with any available brows­er. I simply cannot log in. Presumably, to do Internet banking now on my Santander account I would have to use a smartphone, which I do not have and cannot use anyway. It would be extremely dangerous for me to attempt banking transactions via a smartphone. Typing in an amount of money would take me many attempts to get the figures entered correctly and the possibility of my pressing or touching a sensitive button inadvertently would be extremely high. I could easily end up paying a kings ransom for a bottle of water or signing up to some service or contract with­out even being aware that I had done so. I must assume, therefore, that Santander no longer perceives people my age as part of its market. I expect the other banks will eventually follow suit. I do not want a novelty gadget. I want a workhorse. I want a personal computer that provides me with a comfortable human interface, which is the right size for fast and efficient use by my hands, viewing by my eyes and hearing by my ears. I want it to be future-safe. This means that its various functional areas must be independently updatable and upgradable. I want it to be tidy. I do not want a rat's nest of cables and wall warts under my feet. It must therefore include power supply, surge pro­tector, mains isolator switch and no-break battery backup inside its case. Throwing the isolator switch causes the operating system to shut down the computer grace­fully under battery power. I want its case to be large enough for me to be able to install or replace any single component without the need to remove or in any way interfere with any other components. I also want the case to be large enough to accommodate generous filtered air flow for cooling. For these reasons I decided on what is known as a full tower case. This is based on the 23-inch rack standard rather than on the 19-inch rack standard. The nominal dimensions of a full tower are: height 570 mm, width 230 mm, depth 550 mm. I would like a motherboard with a fairly fast CPU because I often create ray-traced im­ages and animations, which are somewhat processor-inten­sive. On the other hand, I do not need the high-performance demanded for video since I do not play computer games. I prefer just one 1TB disk to minimize noise and vibration, and to avoid annoying low harmonics generated by multiple disks in proximity. The only cables emerging from the back of the case are the power cable, UHDMI and power cables for the monitor, a 100BaseT LAN cable, and a single USB cable to connect to the keyboard. The mouse is connected to a USB repeater socket on the keyboard. That is 6 cables: no wall or mid-cable power units. I do not want a web­cam because I often work at my computer sparsely dressed during hot weather. The video monitor gets no-break power from the computer's power supply. Headset sound (including microphone input) is via a durable coiled cable from a single robust quarter-inch jack on the front panel. The front panel also has extra USB sockets and memory card slots. As well as my standard PC described above, I would also like what I shall call my server version. This is the same as my standard PC but with certain additions. I wish to add, within the same case, an Internet access modem (cable and/or ADSL), a router card and a small RISC technology diskless computer to be used as a server. All three devices are powered from a single independent low-power battery-backed power supply. These powering requirements mean that these devices cannot be of the kind installed in an expansion slot of the main PC motherboard. They need to be able to remain fully operational when the PC itself is switched off and unplugged from mains power. They must have a separate mains cable and low-power battery back­ed power supply that has no connection at all with the main PC housed in the same case. The type of cable/ADSL modem depends on the type of Internet connection and is usually supplied by the Internet service provider (ISP). Somehow, I would like to mount the modem and its wall-wart within the computer case. The router card can be of a fairly standard kind with 8 LAN-side sockets and 1 WAN-side socket. It must include a firewall function and port-forwarding control via a web interface usable from the main PC installed in the same case. Its WAN-side socket is connected to the Internet modem via a short LAN cable. The small diskless computer has only one connection to the outside world (apart from its power cord). This only connection is to the router card via a short LAN cable. The small diskless computer's operating system, application programs and servable content are accommodated in an on-board SD card, which is prepared and updated from an external SD card slot on the front panel of the main PC. The app­lications run on this small diskless computer are a POP/SMTP email server, a web server, an FTP server and servers for various other networks such as eDonkey, gnutella, G2 and Freenet. The small diskless computer is managed via telnet, which is restricted to access exclusively by the main PC housed in the same case. The Internet is based on national infrastructures which are connected together by an international backbone. These are licensed by national governments and co-ordinated by international agreements. The cables and switching centres (links and routers) are owned and operated by an amalgam of large public and private corp­orations. The individual end-user is the infinitely inferior party in any contract for the provision of Internet service. In fact, any such "contract" is not really a contract: it is an ultimatum. The ISP simply makes its customer "an offer he can't refuse". The end-user either accepts it or is excluded from the Internet. This to me is very un­healthy, as is evinced by the insurmountable obstruction encountered whenever one attempts to terminate or change such a "contract" of service. This is to say nothing of the disruption caused by the incessant telephonic pestering to upgrade one's service. An alternative to the established Internet infrastructure is starting to emerge, at least outside densely populated city and urban areas. It is based on a particular way of using wireless networks. Such networks are usually set up by groups of enthus­iasts and other non-profit entities. Consequently, access to this potentially global network is free to participants. Each merely has to provide his own wireless router. If I were to become a participant, I would not make a server version of my ideal PC. Rather, I would put my local LAN switch, router and server in a separate full-tower computer case, together with a wireless unit. This alternative to the Internet takes the form of a wide-area wireless network, which operates in what is called ad hoc mode. This means that each node is of equal status within the network: no node acts as a central administration unit or hub. Each node builds a list of all other nodes within its direct radio range. It de­signates 3 of the most distant of these (up to 50km away, depending on terrain) as its onward routers. These 3 are best spaced at geographic bearings 120° apart. It uses whichever of these 3 is in the most appropriate geographical direction to route IP packets to whichever node in the global network it needs to communicate with at any particular time. The topography of the wireless network is as shown on the left. The maximum radio range (distance) is depicted by the large greenish yellow background circle. The majority of the neighbouring nodes within direct radio range are shown in a magenta colour. These form the Community Area Network (CAN). The outer three cyan coloured circles represent my node's designated onward routers, which, from my point of view, form part of the Global Area Network (GAN). A good plan would be to reserve the 2·4 GHz band for communication between a node and its 3 onward routers, reserving the 5 GHz band for communication with other local nodes (i.e. nodes within direct radio range). This way, the node's 2·4 GHz signal can be directed by high-gain radiators towards the node's onward routers, while the 5 GHz signal is left omni-directional. There is a maximum node density above which this kind of wireless network would be unable to provide a usable bandwidth to each node. I guess this threshold to be where the distance between adjacent nodes falls to 150 metres. In patches of higher node density, local switches and cable links may be needed to relieve the wireless network. The logical essence of my nodal router is illu­strated on the right. The 2·4 GHz wireless ad­apter card is connected through coaxial cable to three external (roof-mounted) directional radiators. The 5·0 GHz wireless card is conn­ected to an external omni-directional antenna via co-axial cable. The 4-port LAN switching card connects the nodal router to up to three other normal PCs + a LAN printer/scanner. A further 4 ports could be provided by a second LAN switch card. The motherboard is a low consumption type incorporting a 32-bit RISC CPU. 4 GB of RAM should be sufficient to en­able the servers to operate most of the time with the disk not spinning. The nodal router must be able to operate, on a continuous duty cycle, from 240 VAC, 115 VAC, 24 VDC or 12 VDC sources via an ATX power supply with built-in relay-based surge protection and battery backup. Its operating system is a top­less version of either FreeBSD of Linux. This specification leaves plenty of space in its full tower case for efficient cooling, easy maint­enance and future additions. The job of the nodal router is fourfold. Firstly, it provides routing service to its three partners within the Global Area Network (GAN). Secondly, It provides PCs on my Local Area Network (LAN) with access to both the GAN and to neighbouring part­icipants in the Community Area Network (CAN). Thirdly, it operates various types of servers, which are universally accessible from the LAN, CAN and GAN. These include: SMTP & POP servers, Web & FTP servers, plus specialised servers for the eDonkey, Gnutella, G2 and Freenet networks. For security and robustness, the Web server was written by me to have the minimum necessary and sufficient function­ality to serve the content of my website. Fourthly, the nodal router runs a Network File System (NFS) server to provide common storage accessible to designated PCs on the Local Area Network. Each of the two wireless networks is connected to the servers through its own sep­arate dedicated software train. Each software train comprises an ad hoc mode network manager, a router for the particular network and a firewall. The two soft­ware trains operate in complete mutual isolation. The firewall in each train ensures that the only listening ports open are exclusively those required by the operating servers. The nodal router is managed exclusively via SSH. Permitted SSH connec­tions to the nodal router are restricted to one or more designated PCs (IP addr­esses) on the LAN. 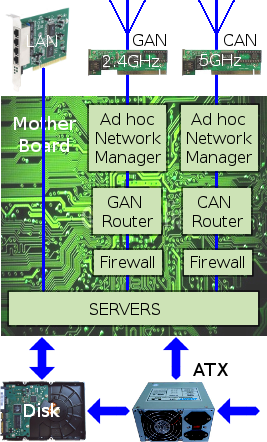 The nodal router's SSH cannot in any way be accessed from the CAN or the GAN. Updating of served content is done via rsync over SSH. The 'out and about' environment is, for me, not conducive to creative thought or productive work. The concentration and intensity with which I use a personal com­puter requires the quiet solitude of my dedicated workstation. When I am out and about, I want to be free from being hooked into the world of information and communication. I want to experience and enjoy where I am and the people I am with. This is why my ideal PC is the large static beast I have described.